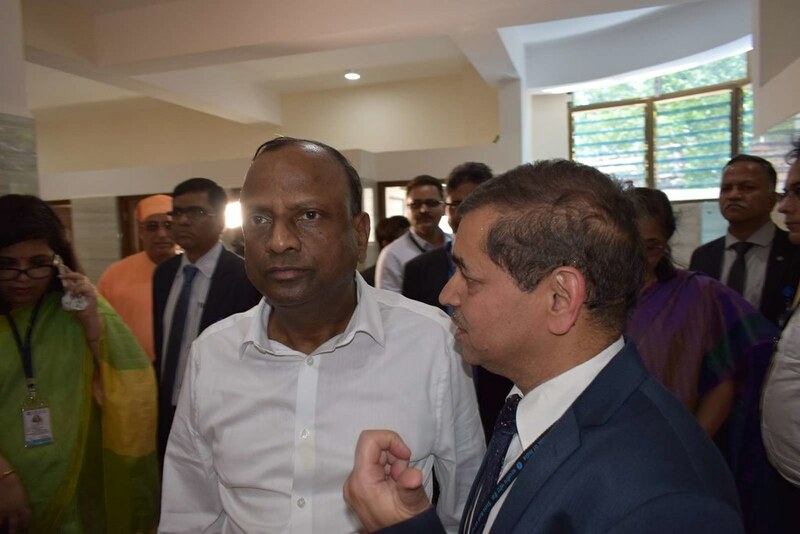 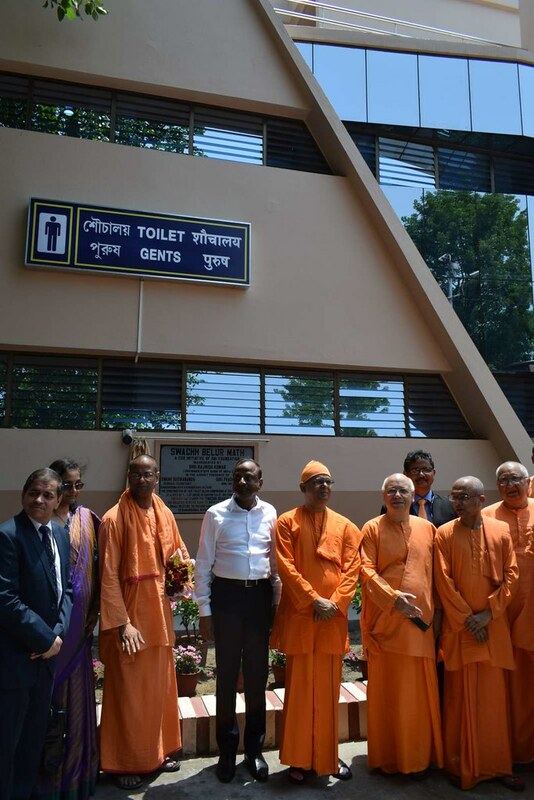 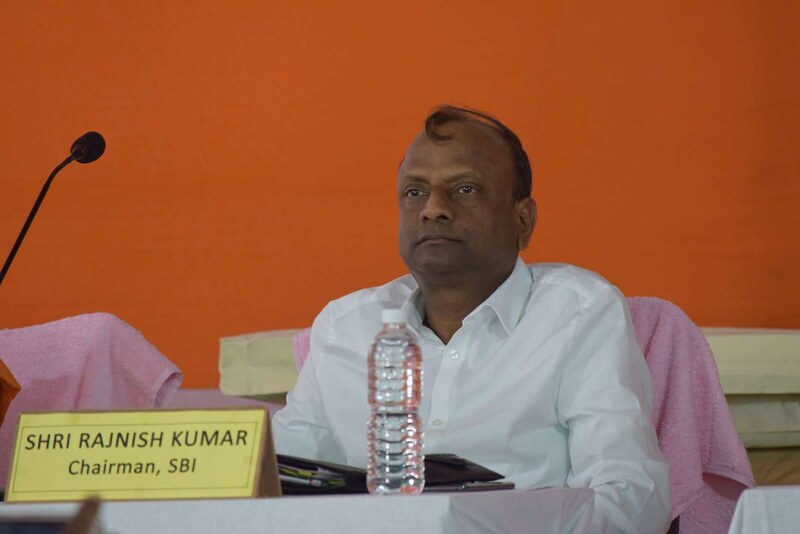 Sri Rajnish Kumar, the Hon’ble Chairman of State Bank of India, inaugurated the new toilet block in a programme held at Belur Math on Friday, 27 April 2018. 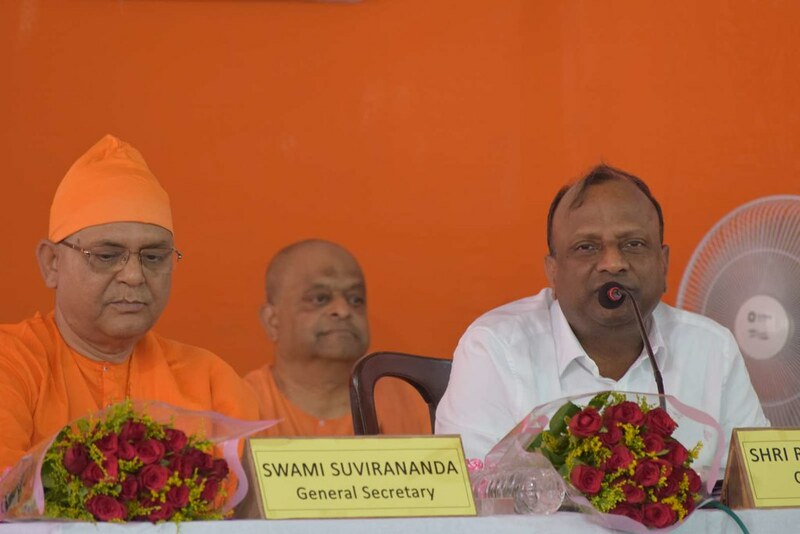 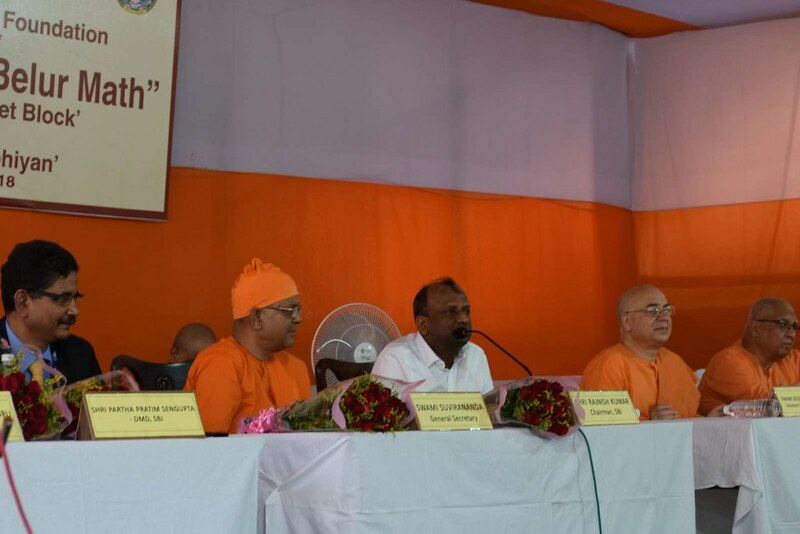 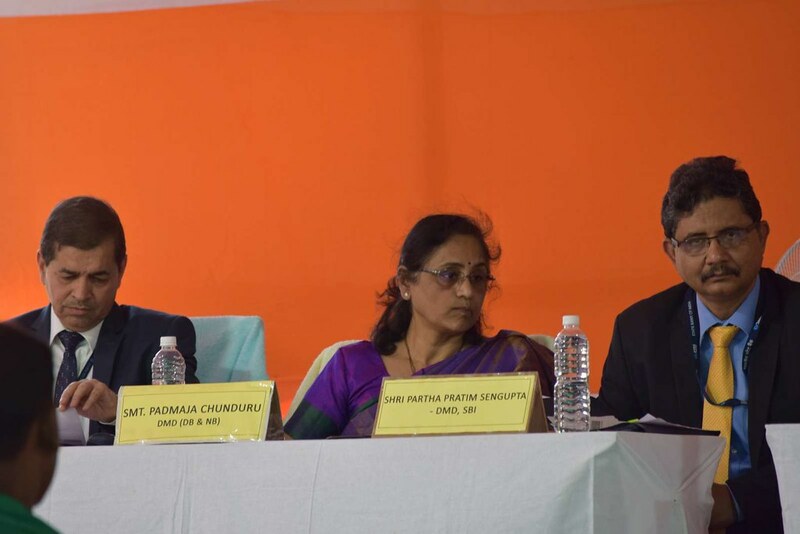 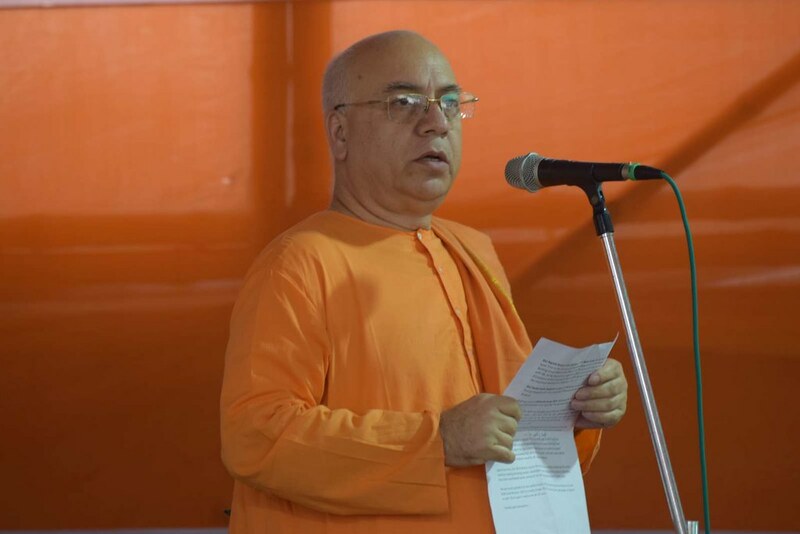 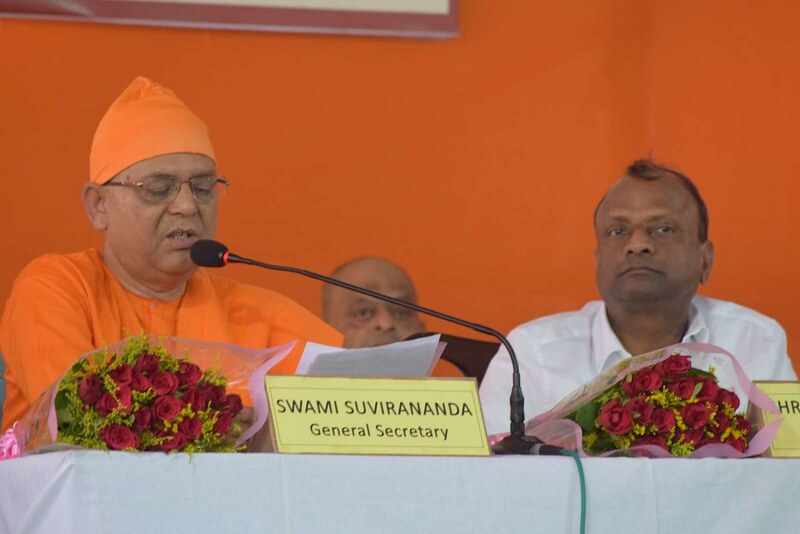 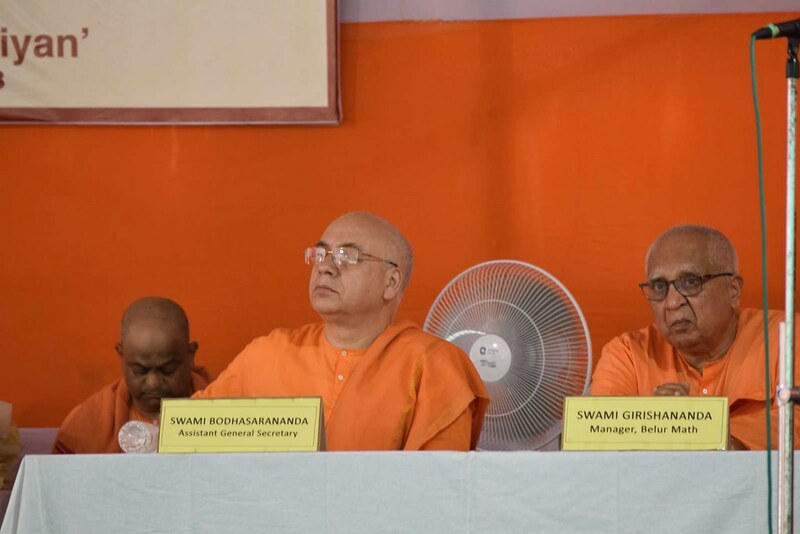 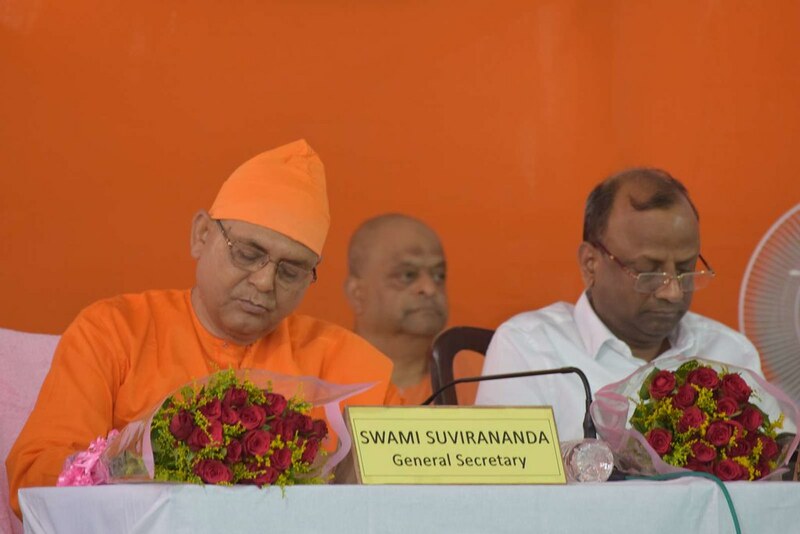 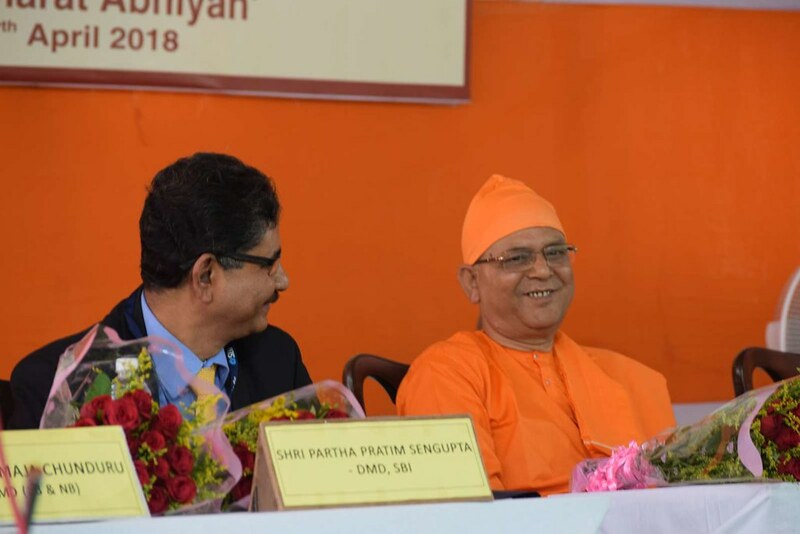 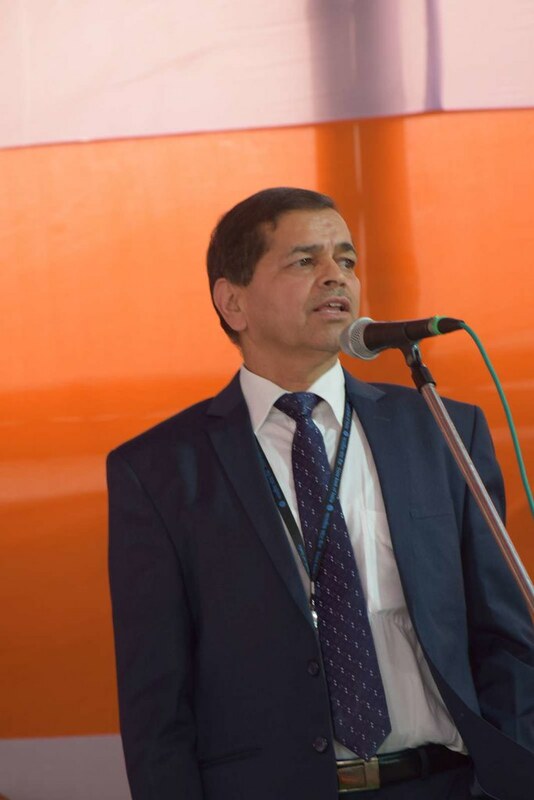 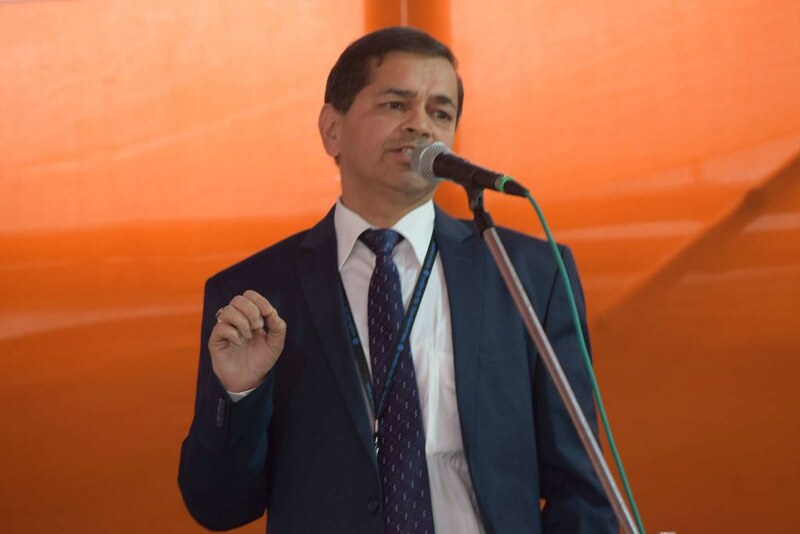 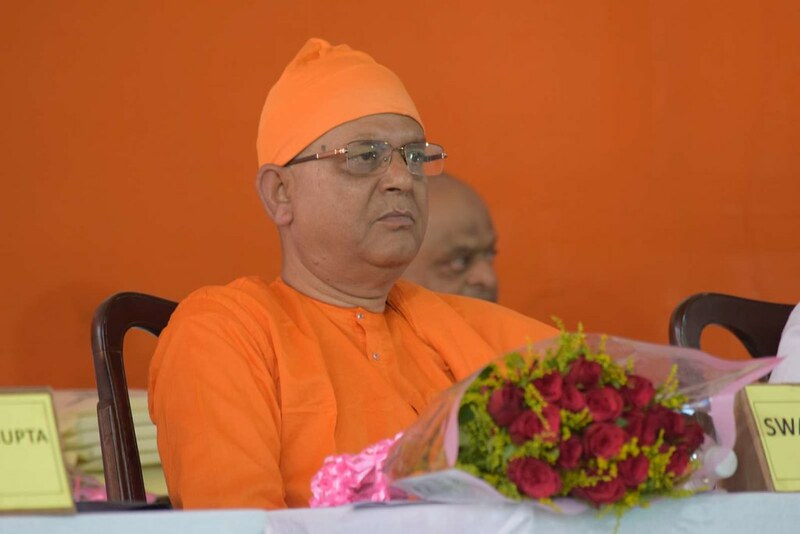 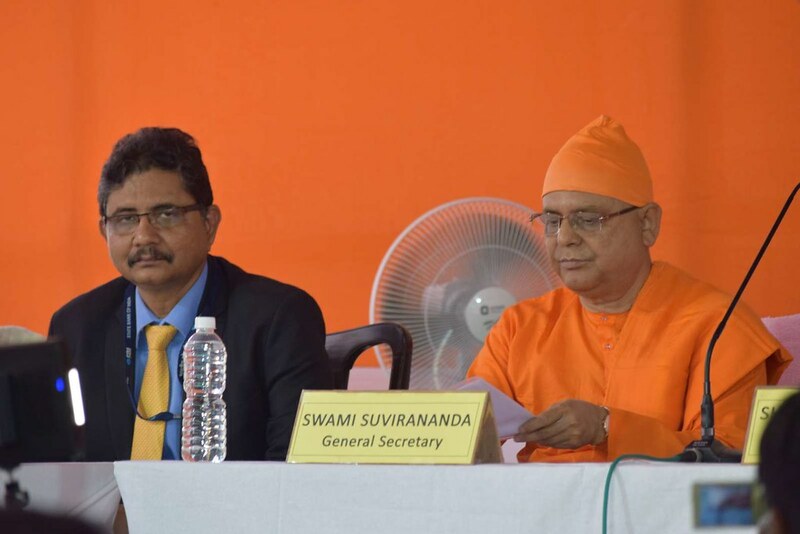 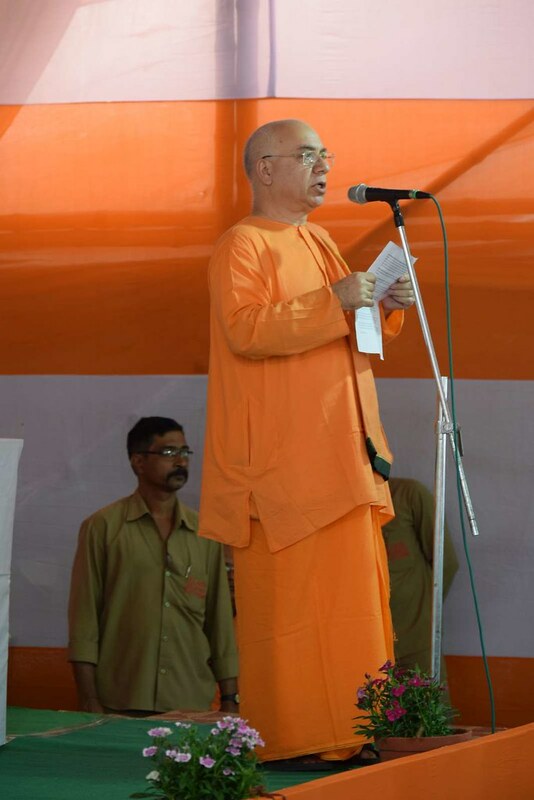 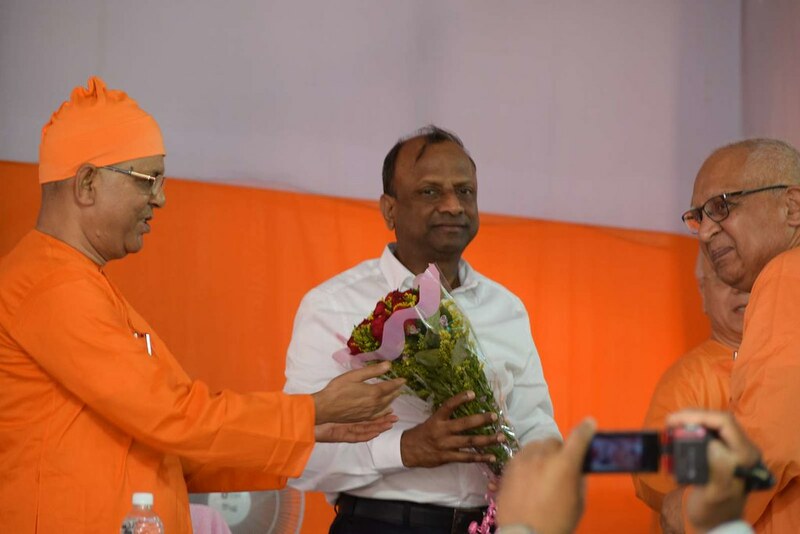 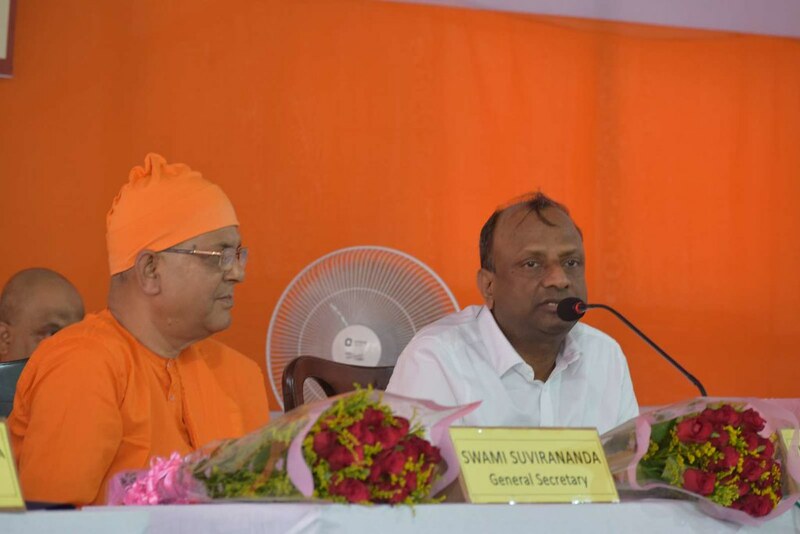 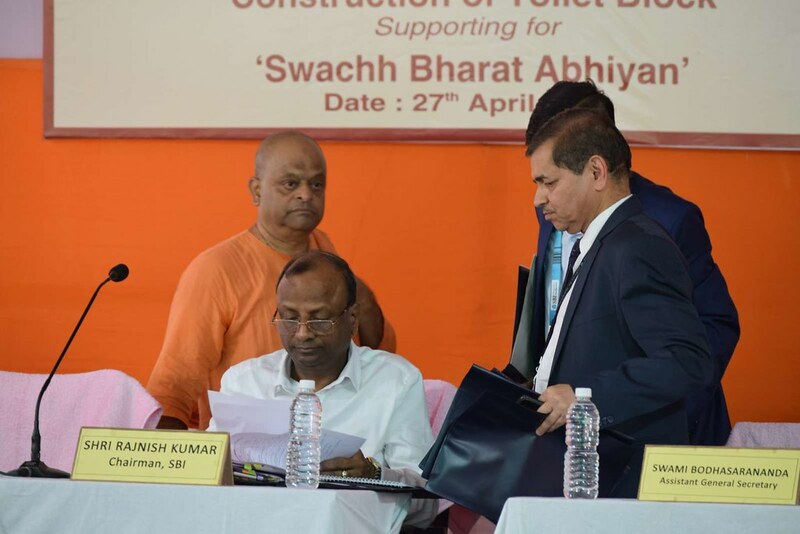 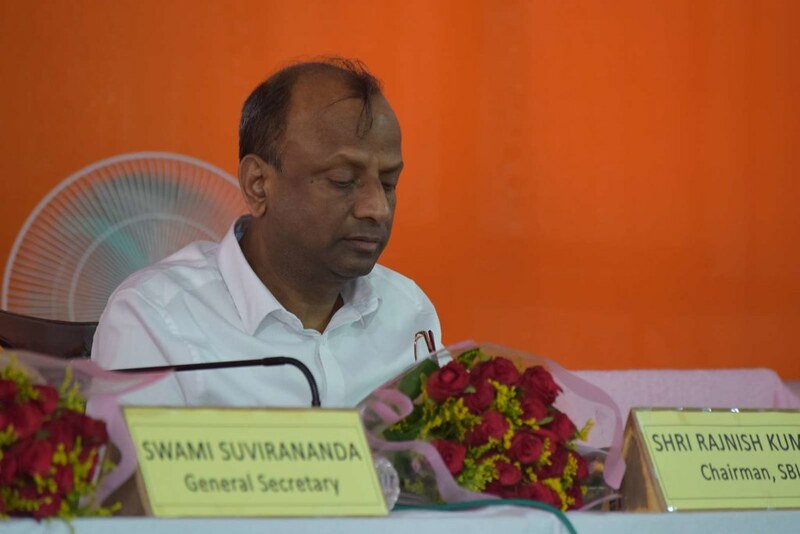 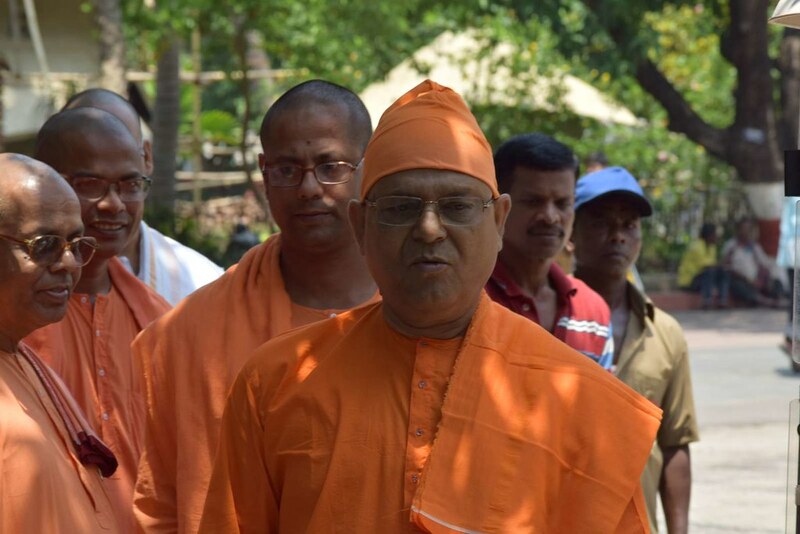 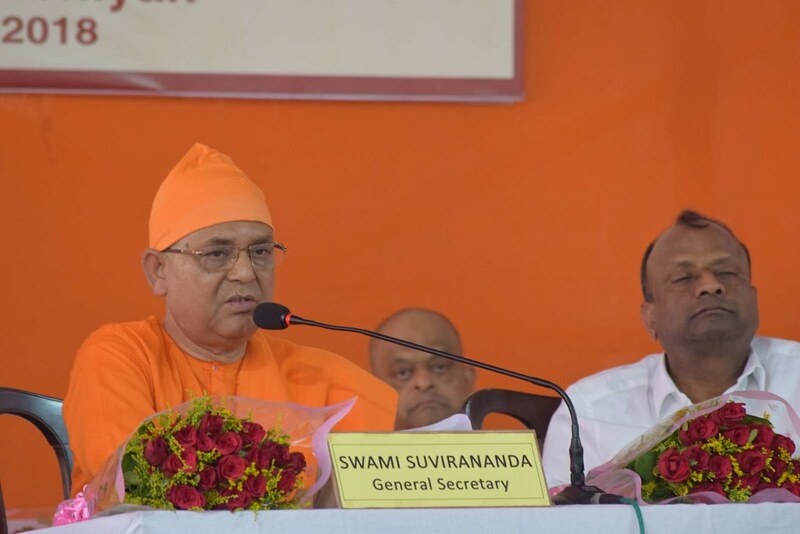 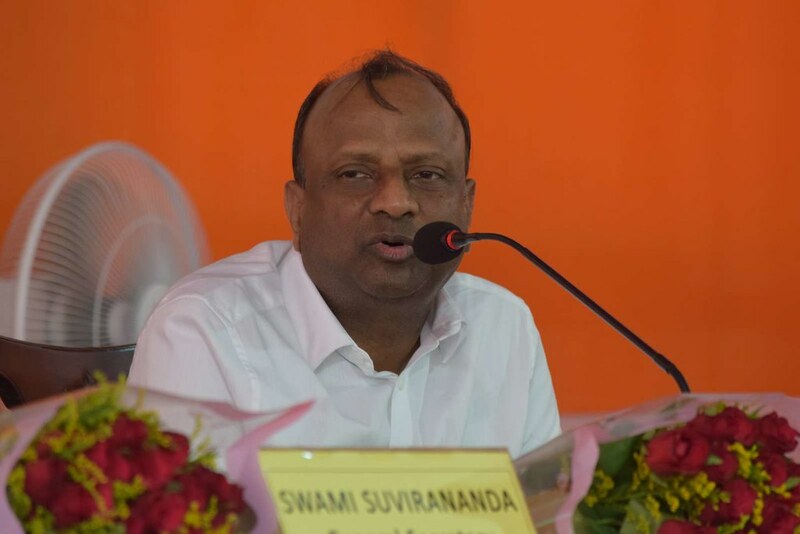 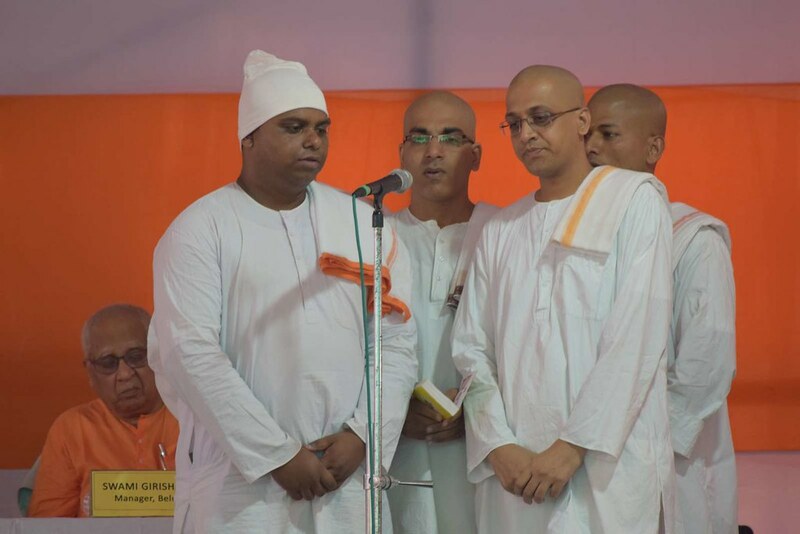 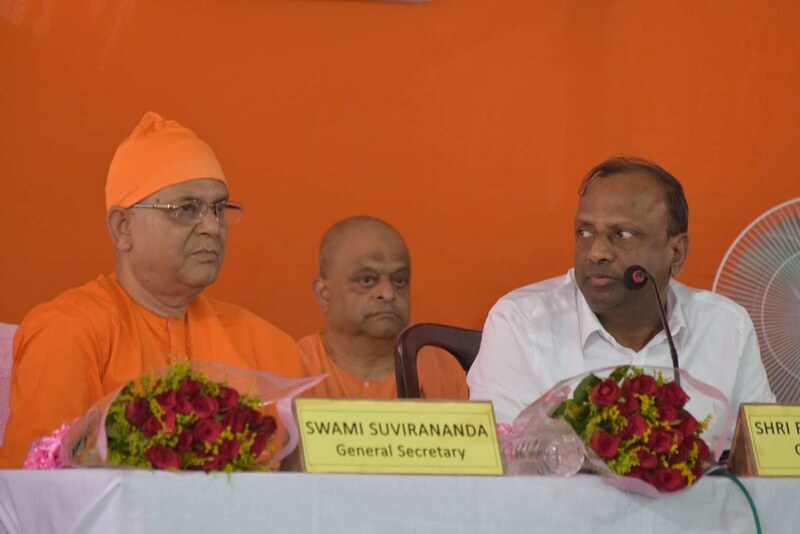 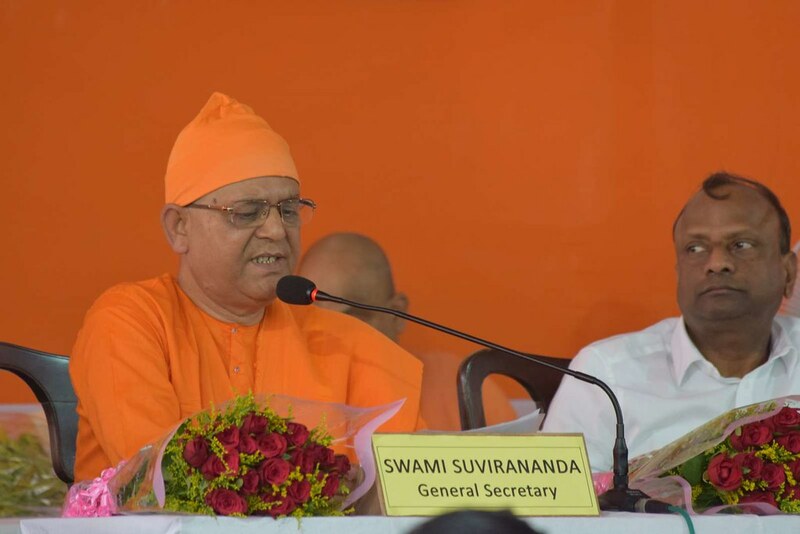 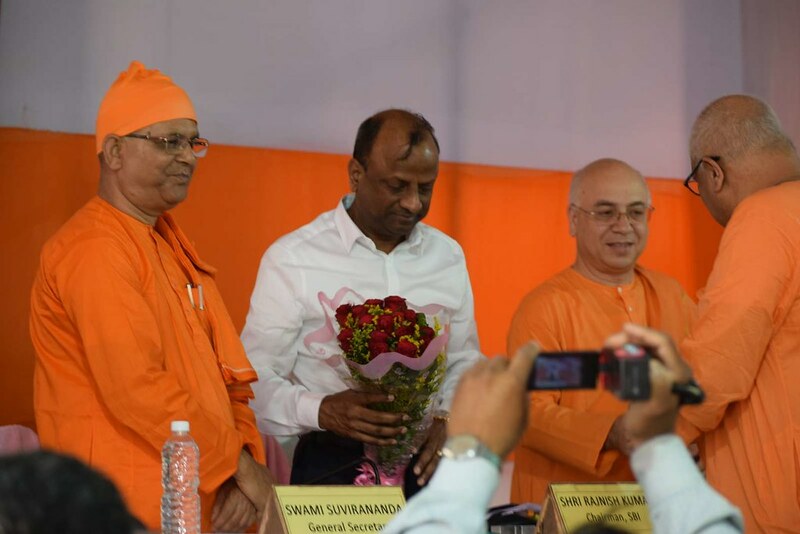 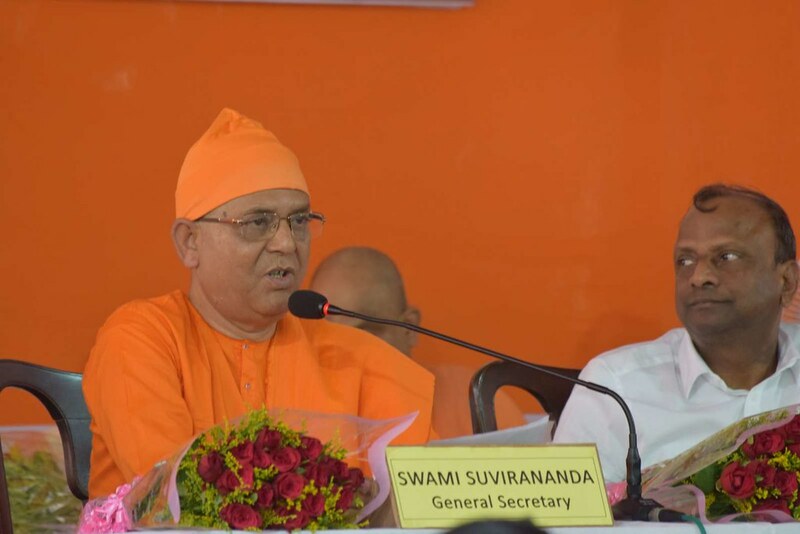 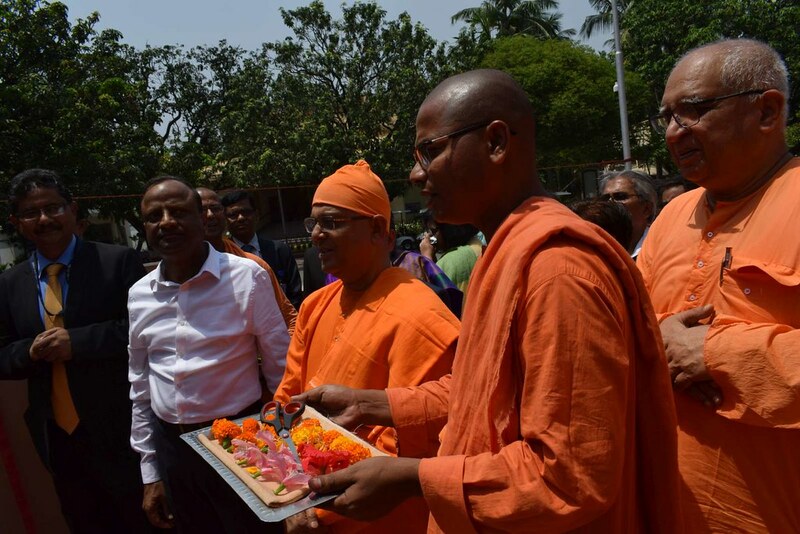 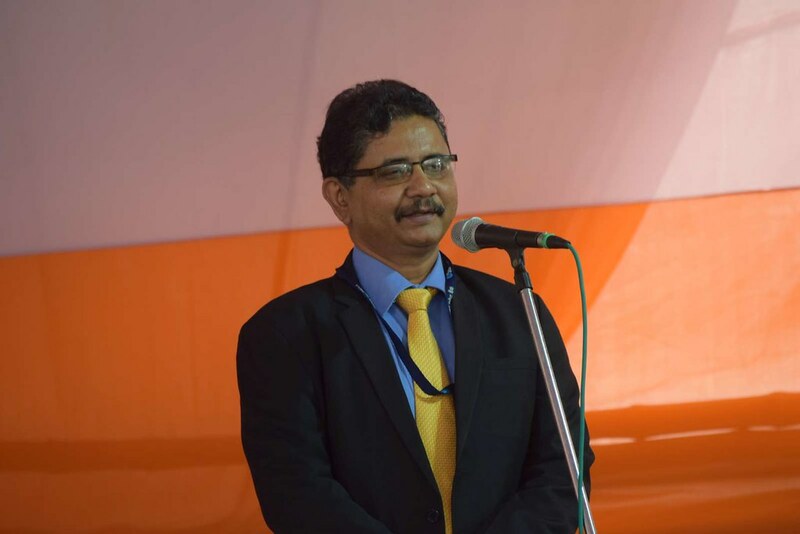 Swami Suvirananda, General Secretary of Ramakrishna Math and Ramakrishna Mission, presided over the programme. 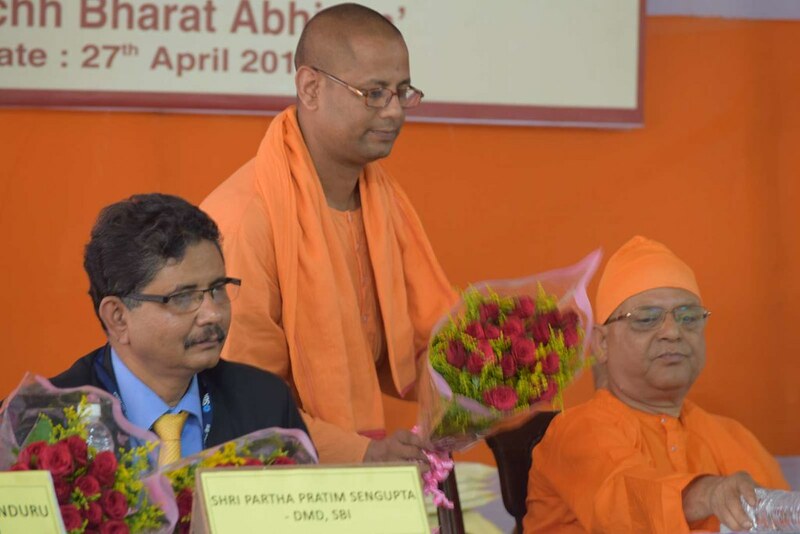 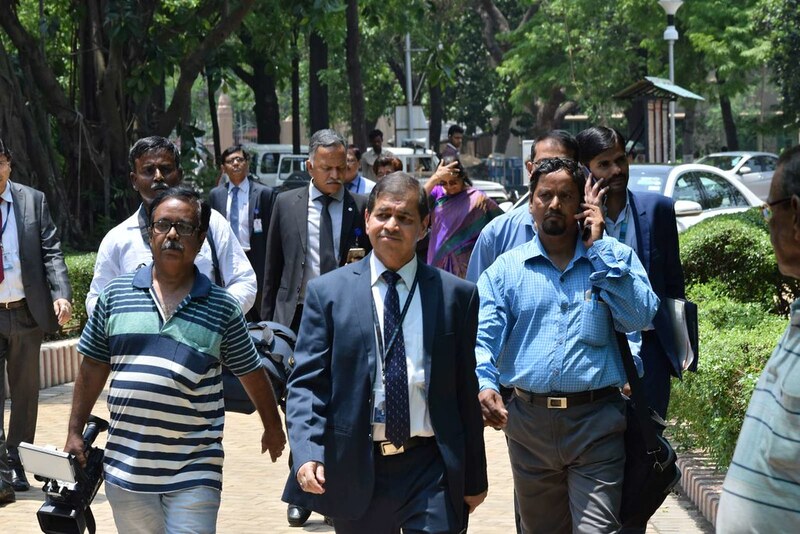 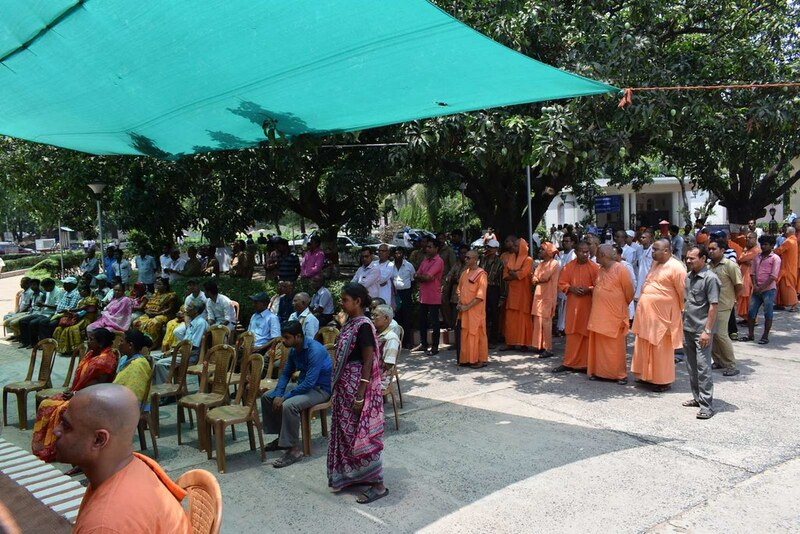 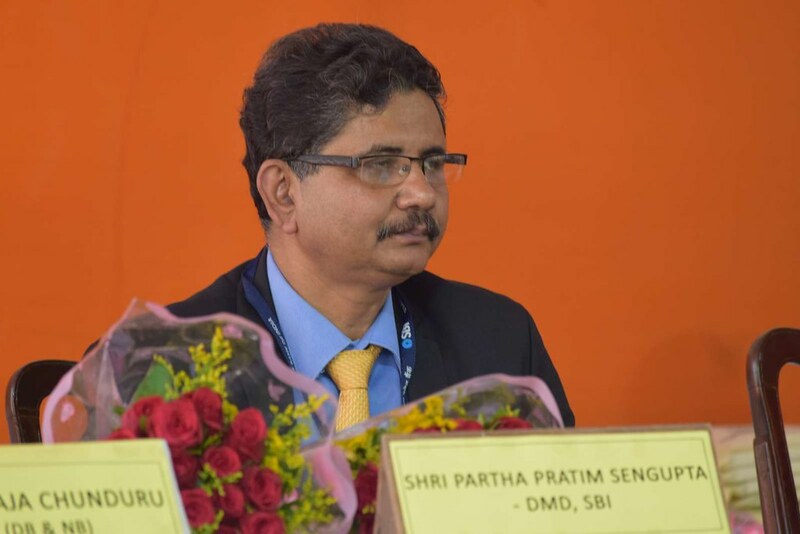 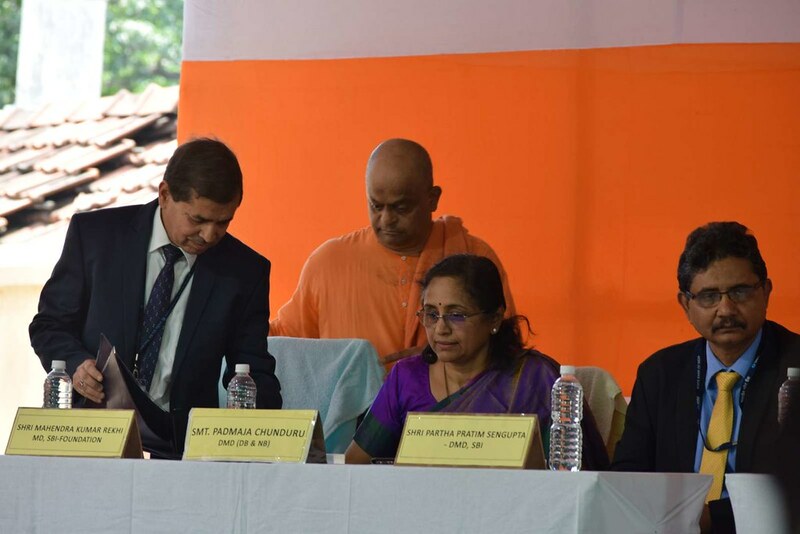 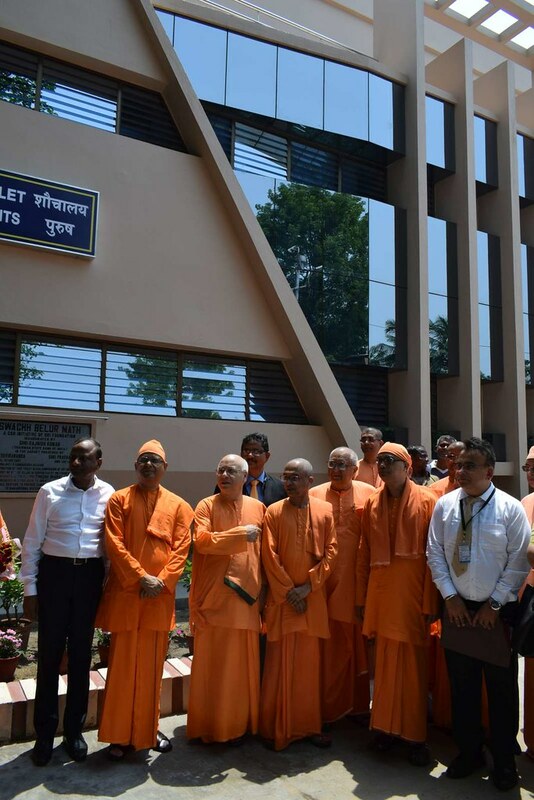 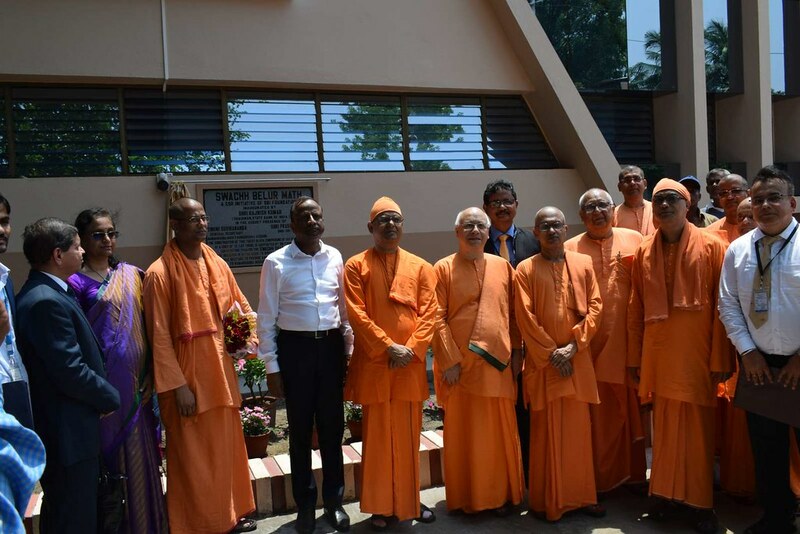 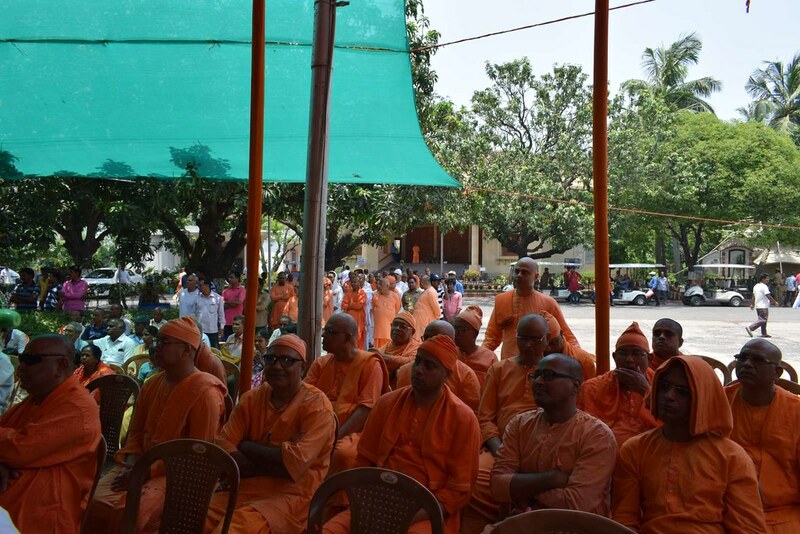 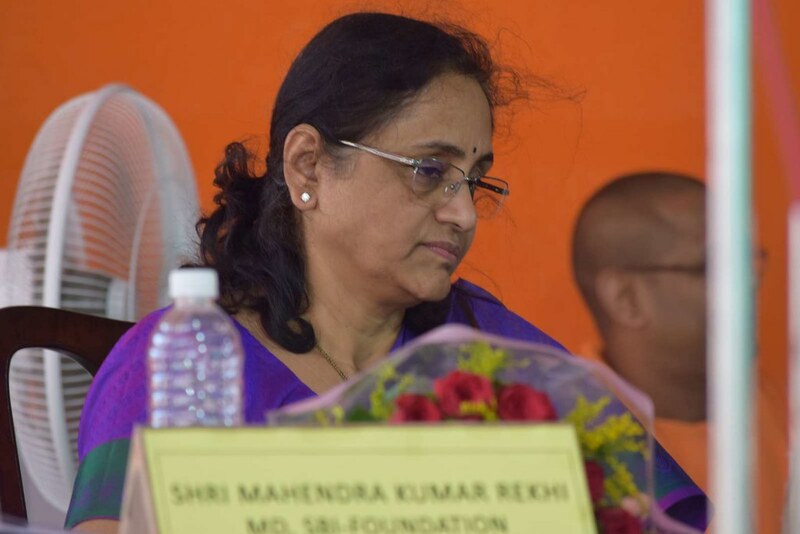 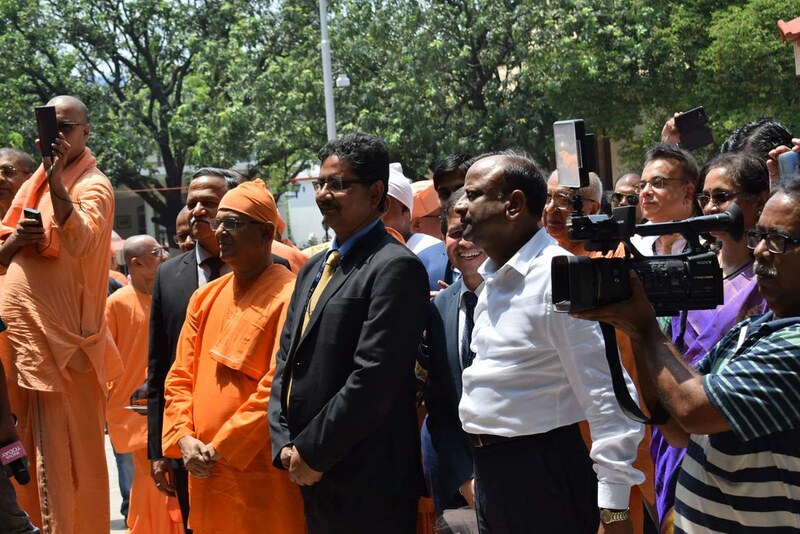 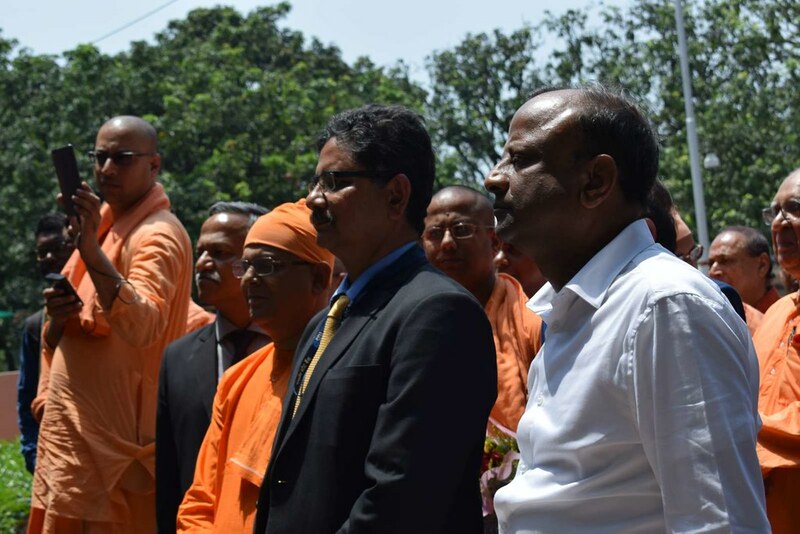 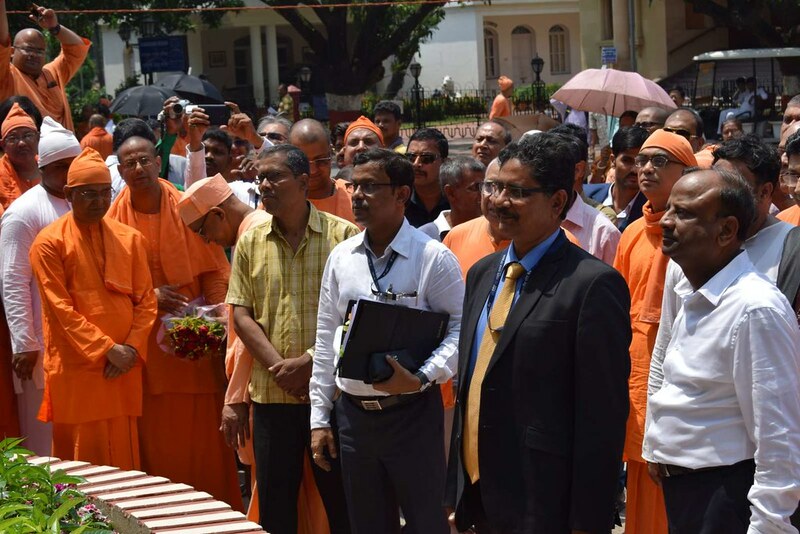 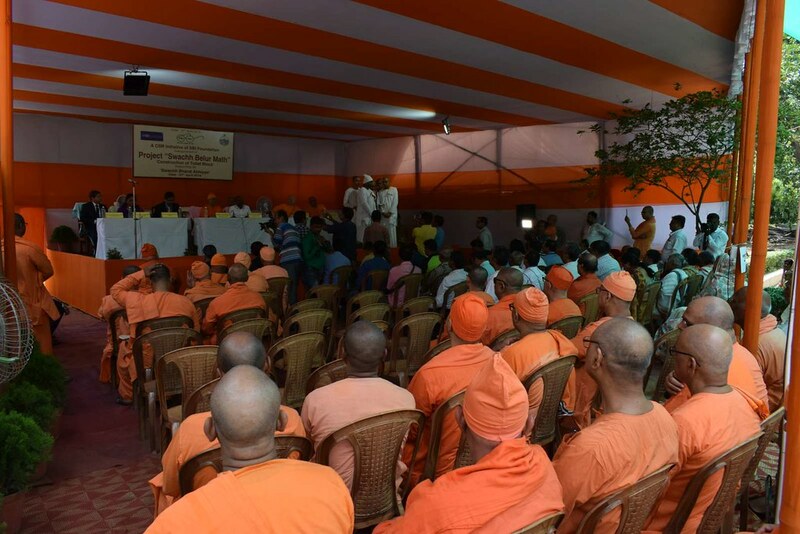 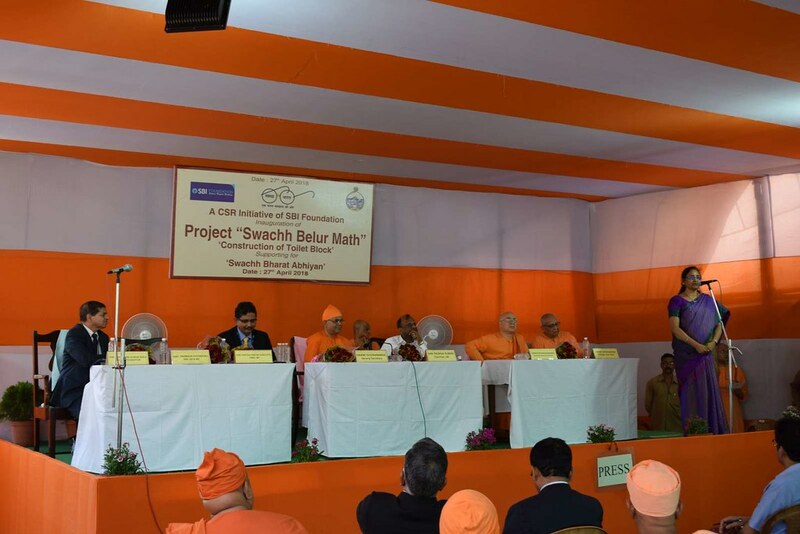 A number of monks of Belur Math, senior officers from SBI and a number of devotees attended the programme. 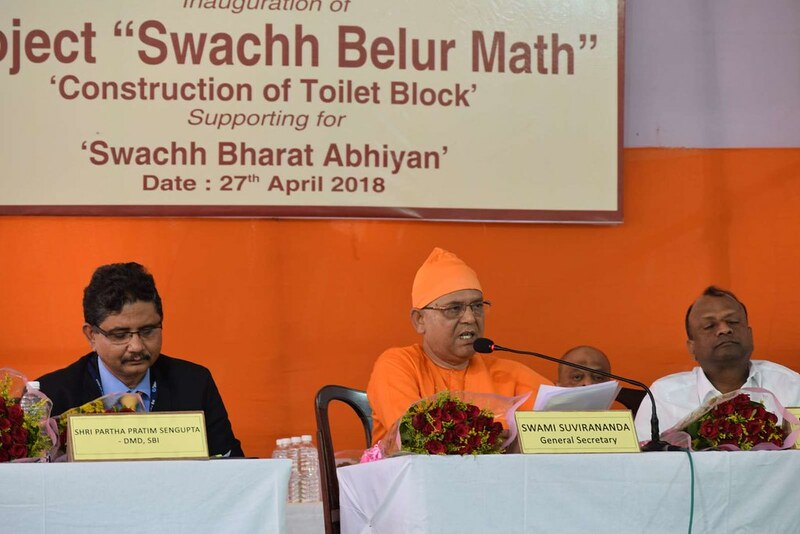 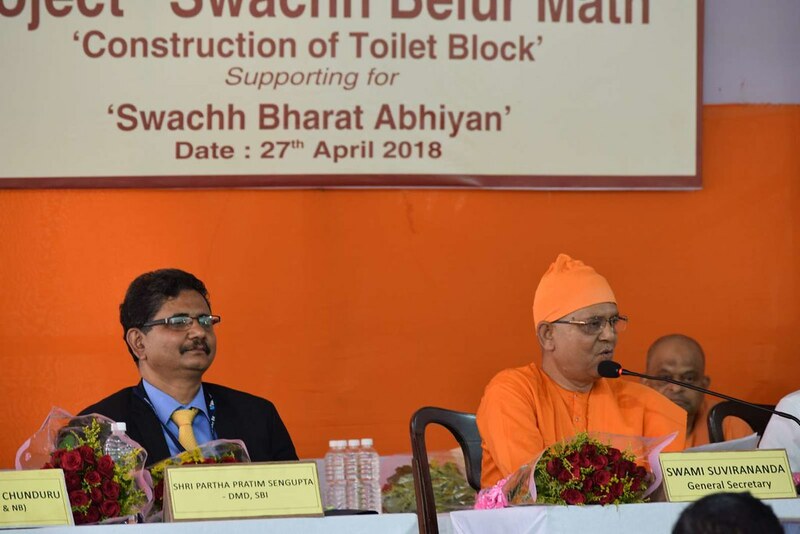 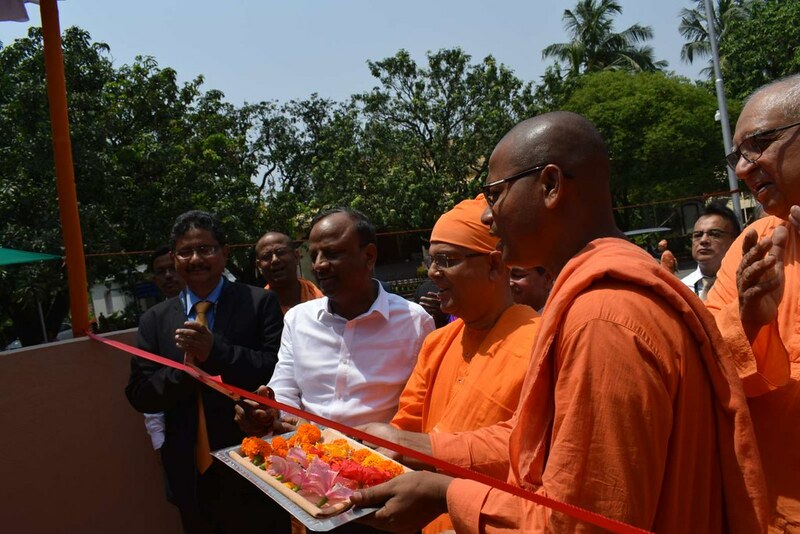 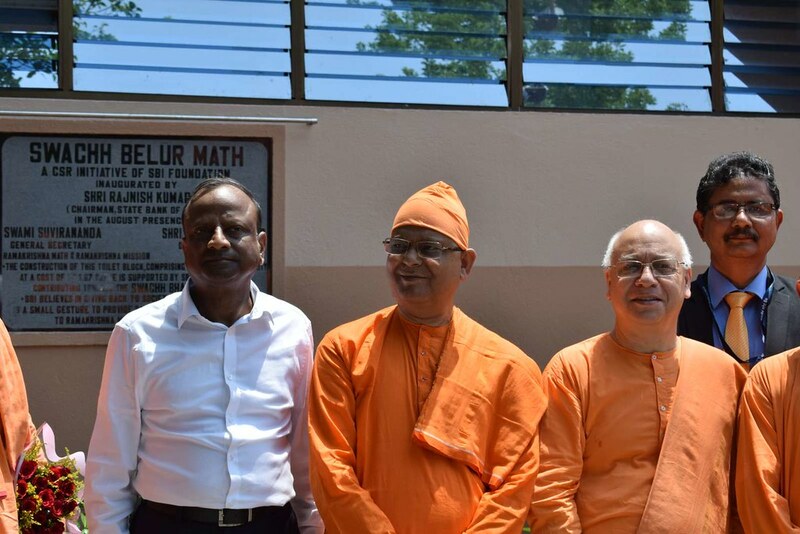 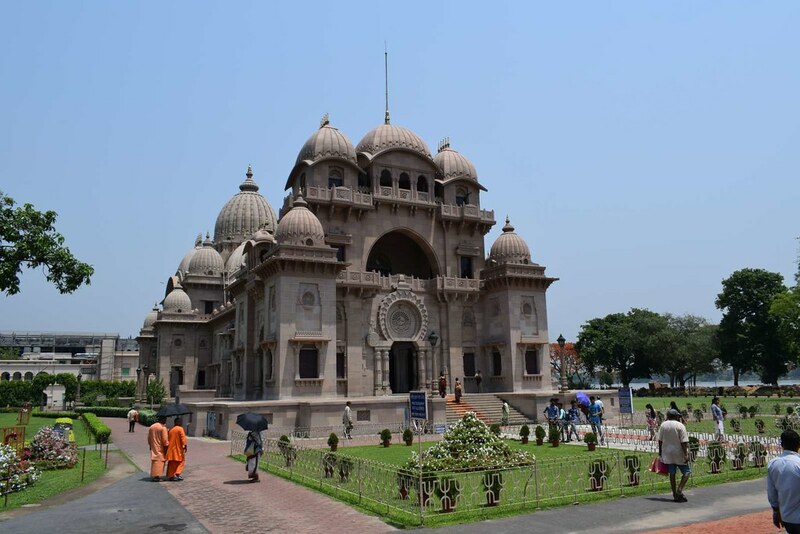 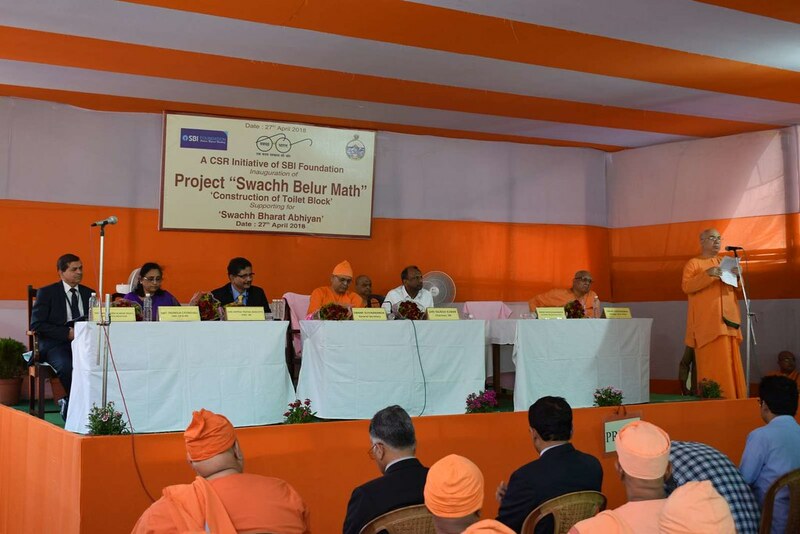 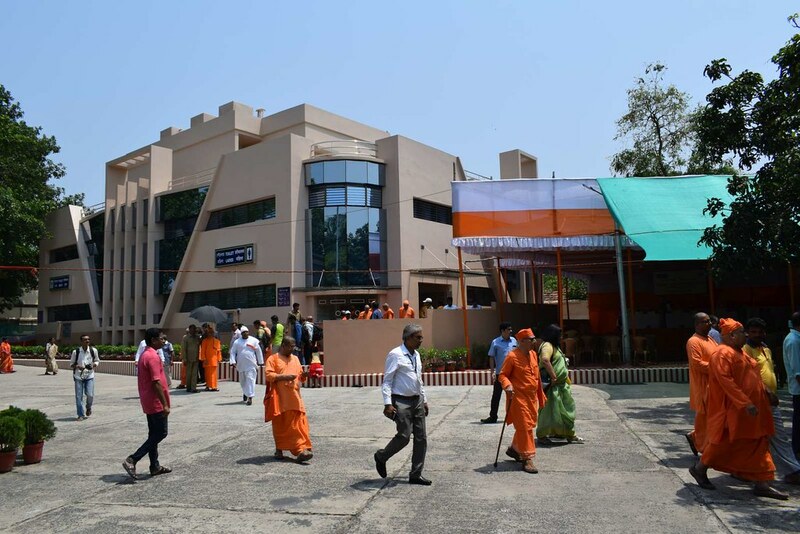 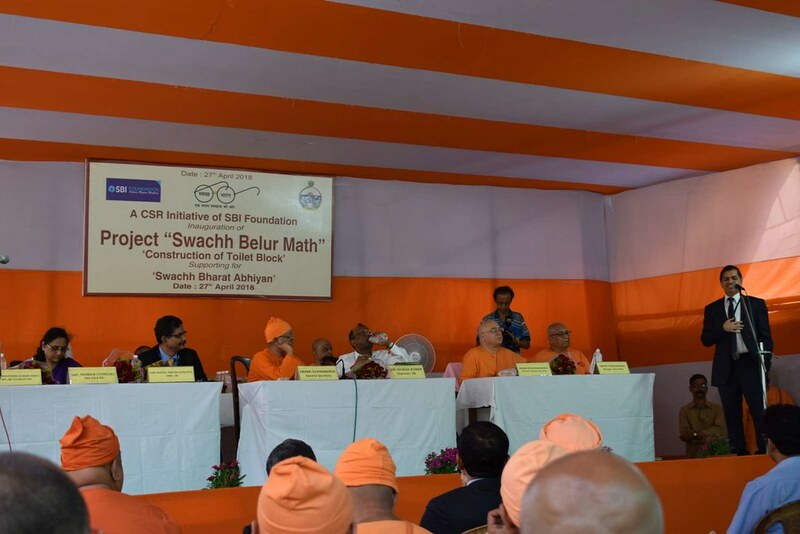 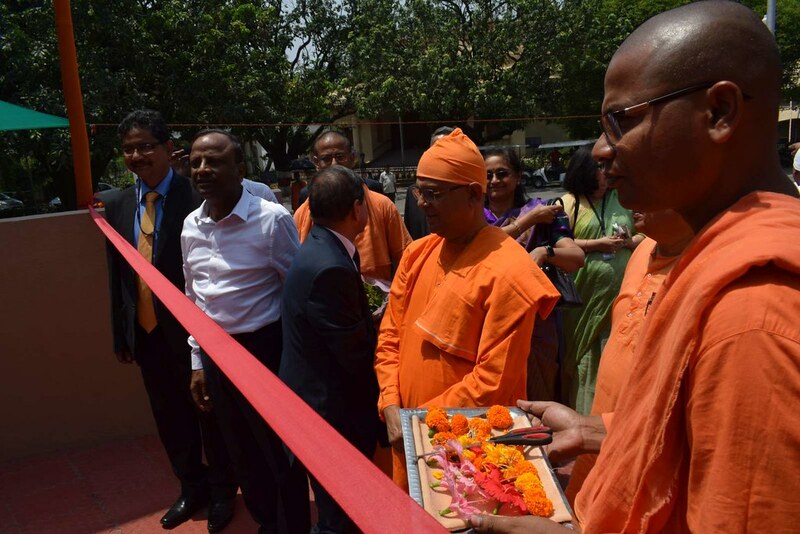 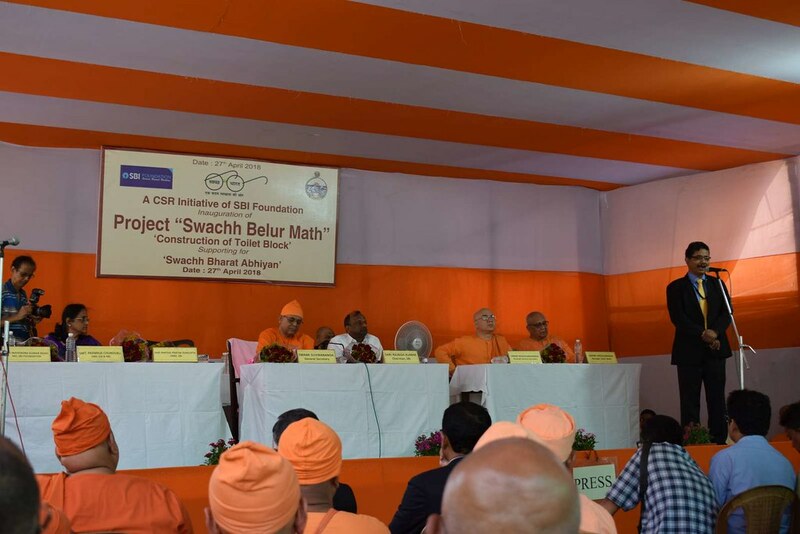 Constructed as part of the ‘“Swachchha Belur Math” project, the three-storey toilet block was opened for the use of thousands of visitors and devotees coming to Belur Math. 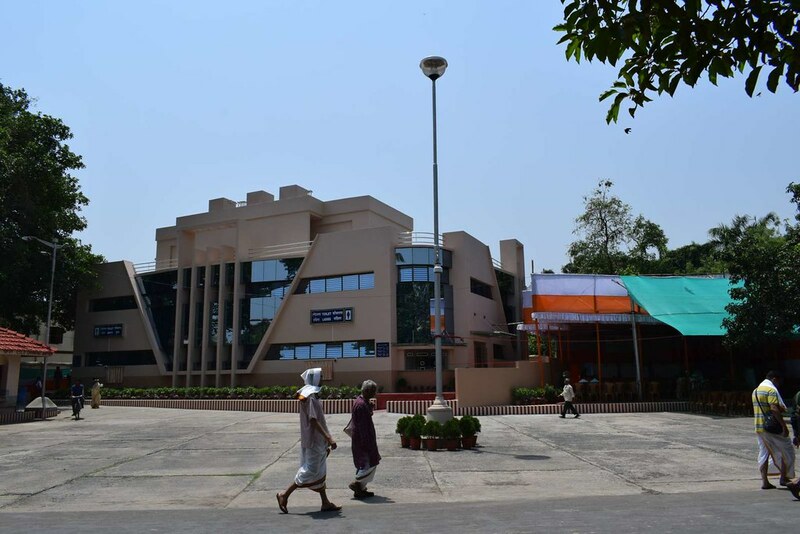 Built at a cost of Rs. 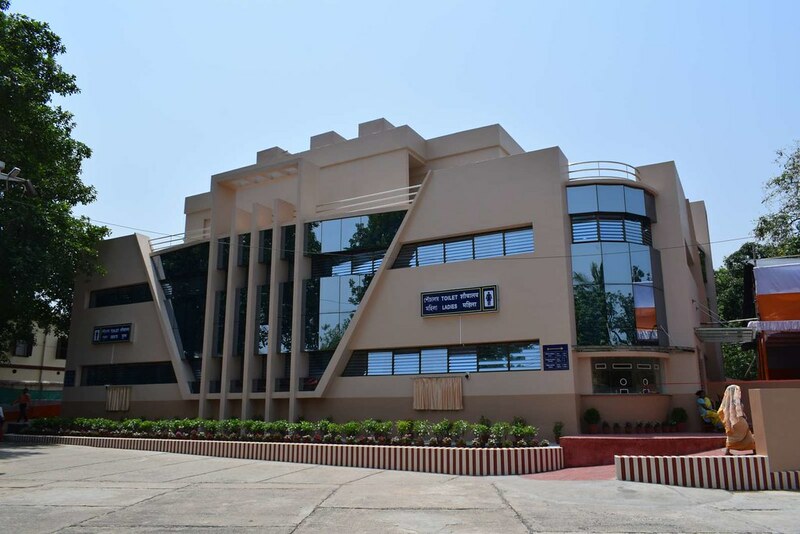 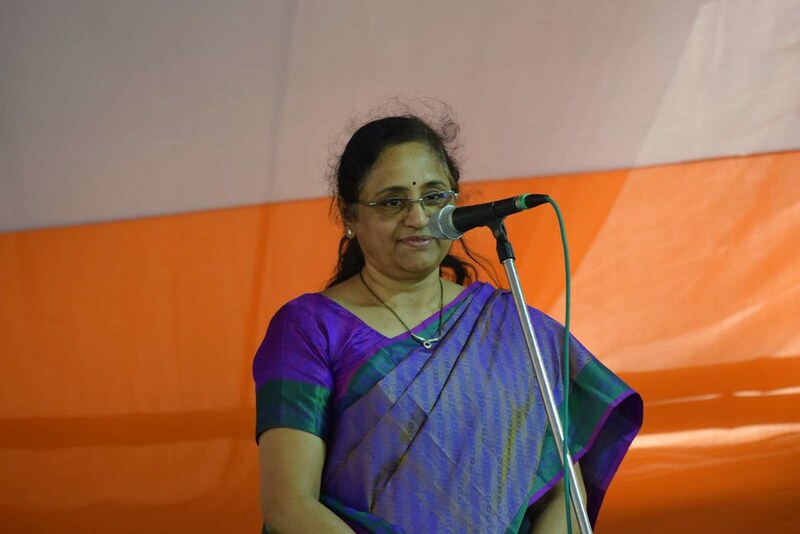 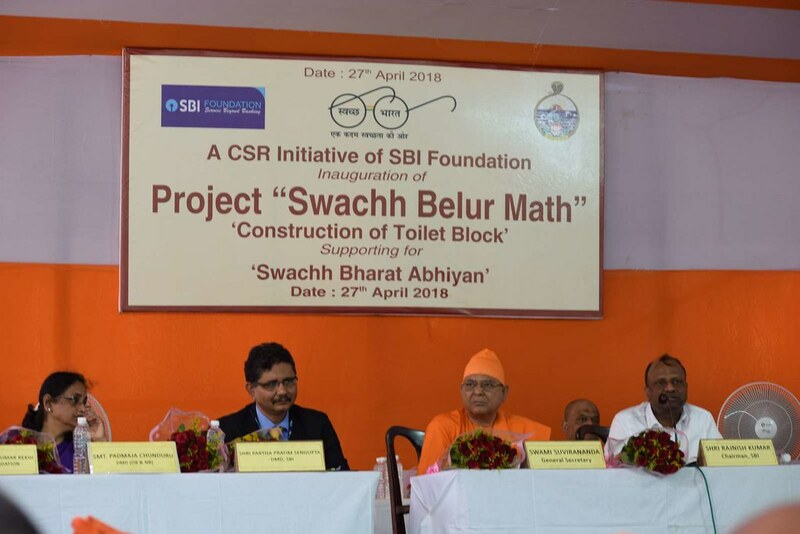 2.08 crore, the project is financed to a large extent by SBI Foundation under its CSR initiative. 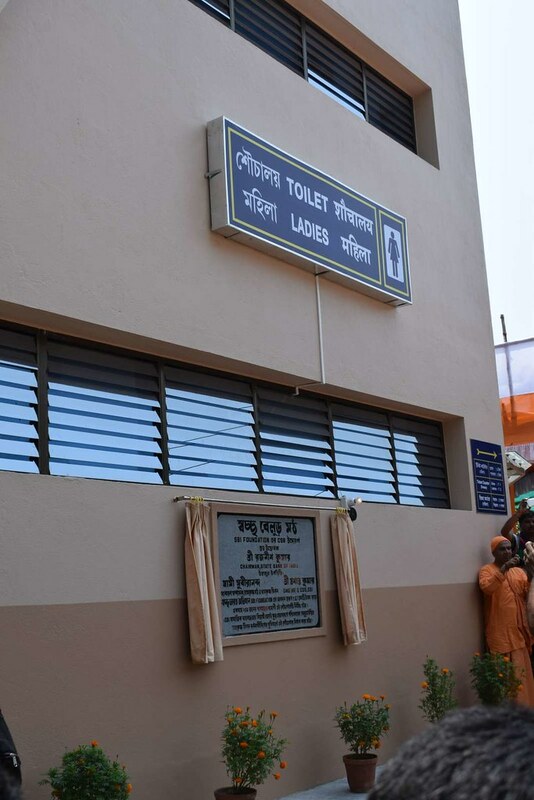 The new toilet block has a very elegant look and is spacious enough to allow nearly 200 people avail themselves of its services at a time. 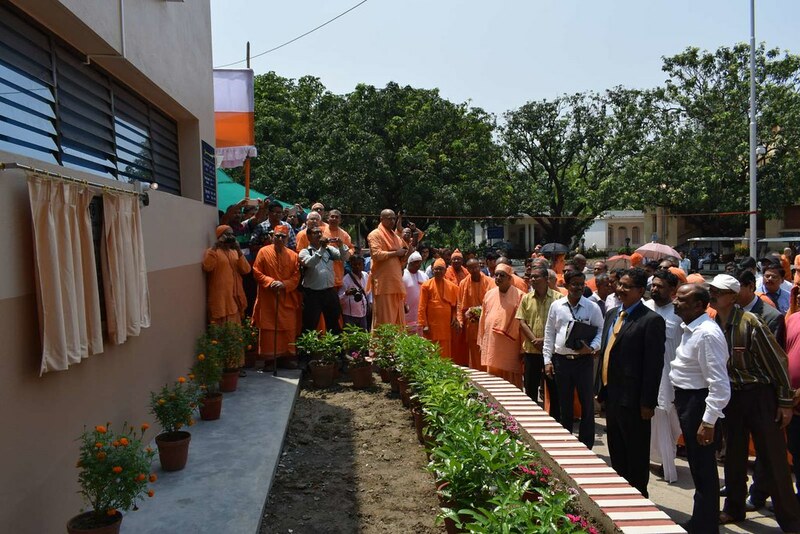 Provision is made for physically-challenged people and also for baby care. 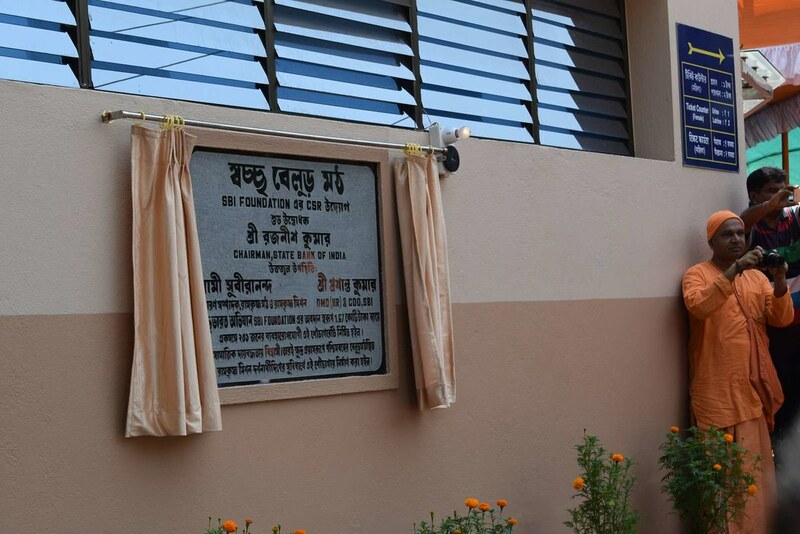 On the top floor, a few living rooms are also constructed for the caretakers. 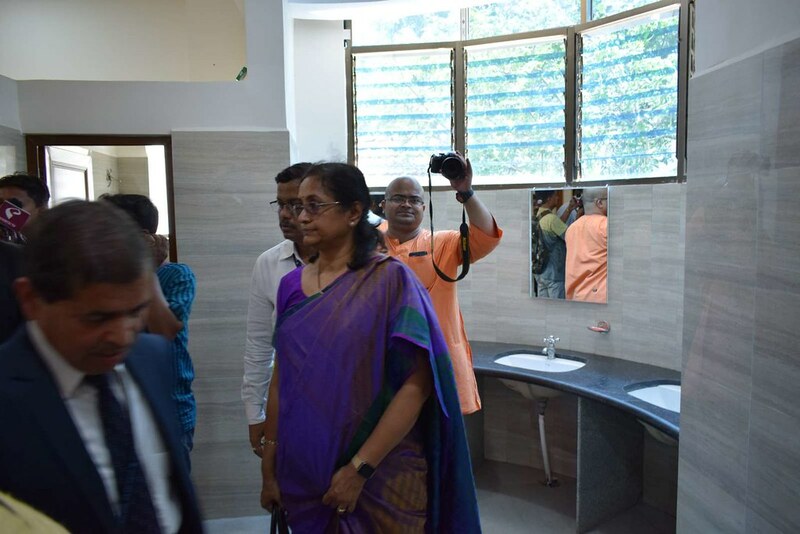 Well-equipped with necessary amenities, the new toilet block is expected to fulfill the needs of the public for a long time to come. 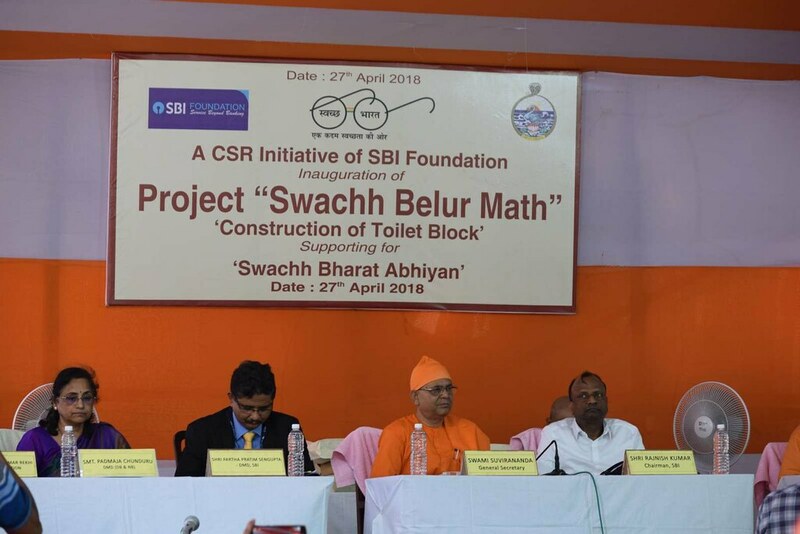 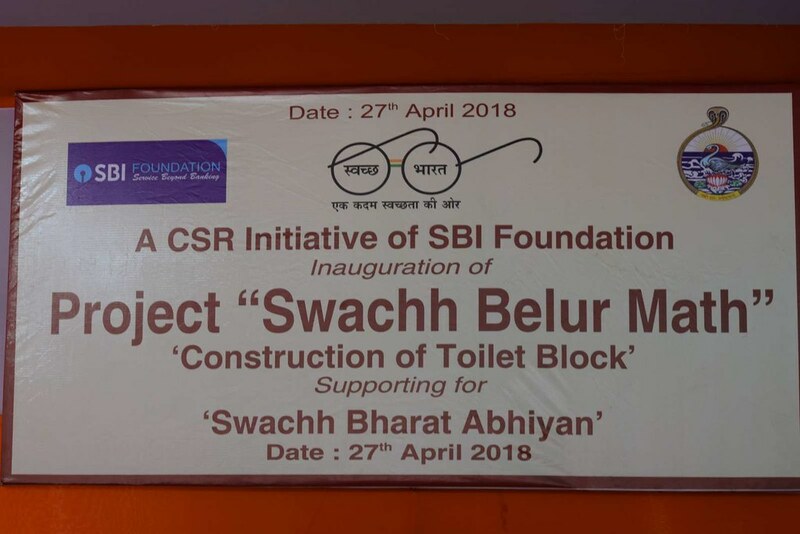 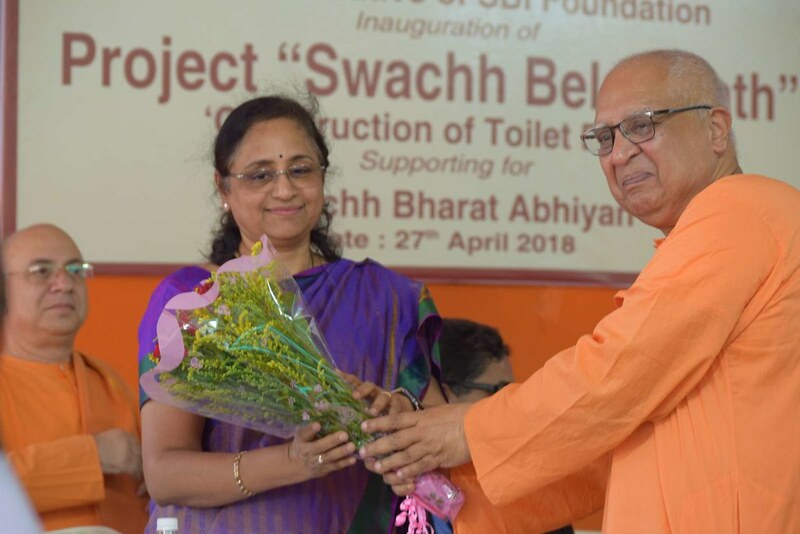 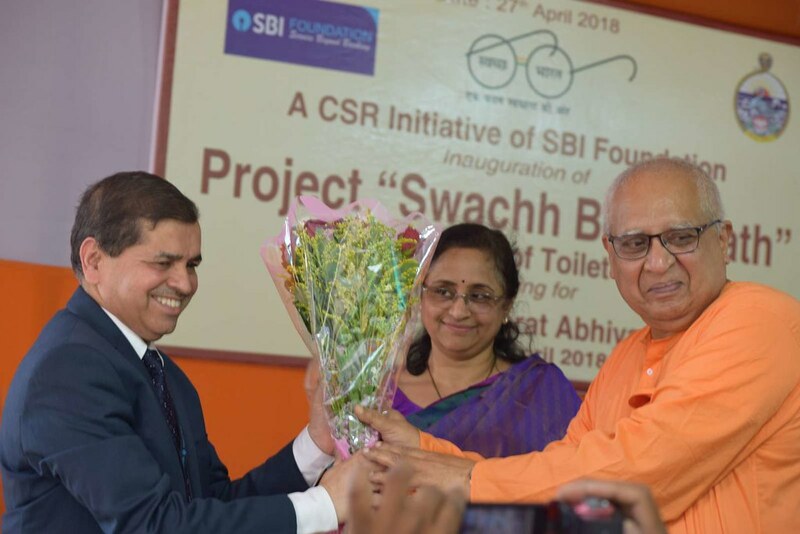 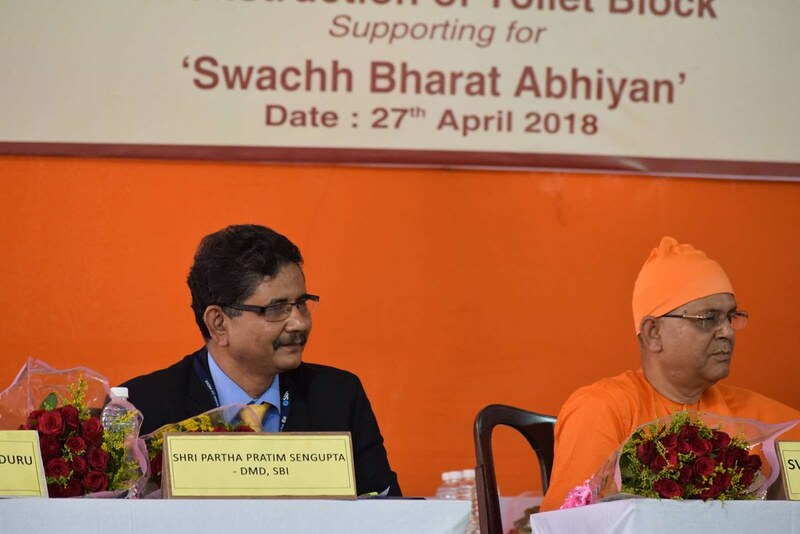 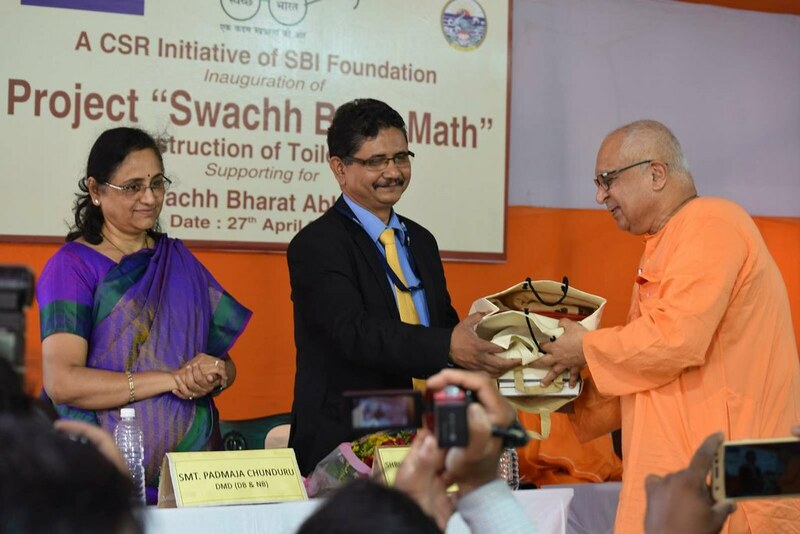 Inauguration of the Toilet Block at Belur Math, a Swachha Bharat Project financed to a large extent by SBI Foundation under its CSR initiative.